If you’re not aware of this, you should know that there was a noteworthy Google algorithm update on the 25th of June. After this update, both search engine optimizers and webmasters alike have been worried about the impact of this update on websites throughout the world. Instead of just believing in the information which is associated with such frequent quality updates from Google, we need to check out the steps which webmasters and optimizers have to take in order to help their struggling online presence get back to its previous form forever. 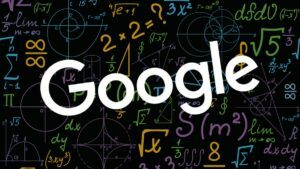 It’s not a secret that Google often updates its algorithm and if we take into account the fact that we have seen since 2000, Google will continue to do so in the coming years. In case you notice a fall of impression in Google Search Console through the default view of 28 days, make sure you increase the range to 90 days. If you have been testing site traffic through Google Analytics throughout a week, extend it to a historic view. And in case you have easy access to Google Analytics data which is filtered for your personal IP and your history doesn’t go far enough, switch over to the master view. If the June 25 Google algorithm update has hit you hard, chances are high that you won’t even realize it. So, here’s what you need to know. Why do they have to move to an unfiltered view? No, switching over to an unfiltered view is not exactly the best scientific approach that you can take. It shows website visits by webmasters, employees and also those who offer digital support and this is omitted in an IP filtered view if done in a proper way. This heavily depends on the usual volume of traffic of the website and how many monthly and daily visits you believe the visitors generate. Does your site receive tens and thousands of sessions in a week? If filtered sessions are in either single or double digits during the exact time, the numbers are less likely to be exact. However, you are still allowed to seek access to the historical damage with nominal variance. What to look for in Historic GA data? You must be looking forward to find evidence of other events which seem to be similar to 25th June which might have been missed out. Is there a simple way to handle this? Here is what you can do. Increase the time frame from 7 day view (which is set in default) to as far back as possible, preferably before 2015. What does Panda 4.2 update have to do with 25th June’s update? Google’s Panda 4.2 refresh started rolling out slowly on 18th July, 2015 and it took many weeks to finally come into effect. During that time, Panda was the name given to the algorithm of Google which targeted poor quality content and awarded websites which complied with quality recommendations of the site. There are many points which Google made about the intention of Panda in 2014 which are still being spoken about in 2017. As we see, your site is a single entity containing hundreds of interconnected parts and different off-site accessories which if focussed properly will add to your success in the long term.